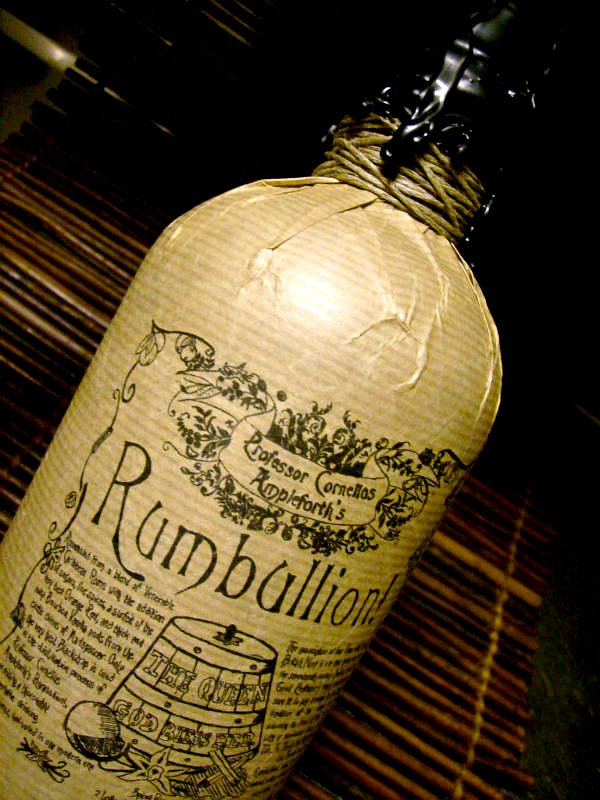 A spiced rum came my way…it´s called Rumbullion – the name sounds like a concoction made in an iron pot on fire.. 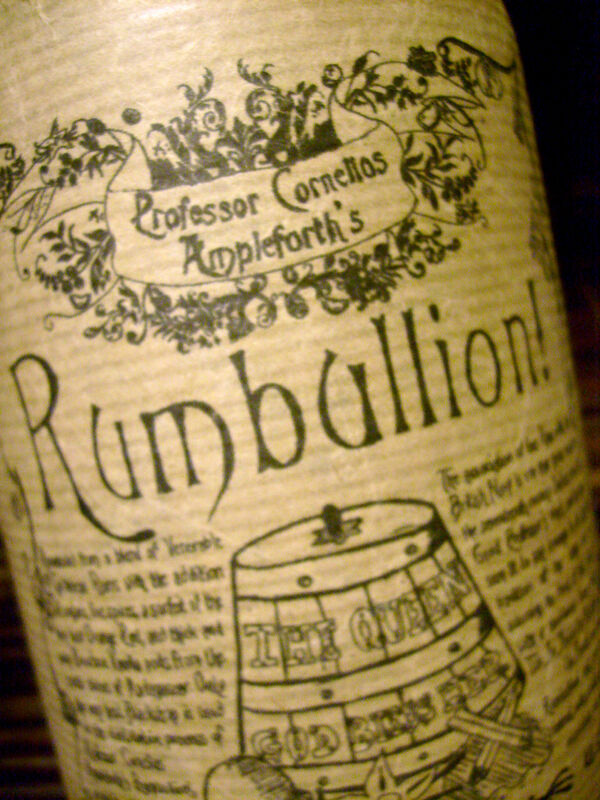 But Rumbullion is made by the Master of Malt or more specifically Professor Cornelius Ampleforth. According to the website it contains a blend of high proof Caribbean rum, madagascar vanilla, orange rind, cloves, cinnamon and cardamom. The final blend is 42.6 ABV or 96 proof. The bottle is wrapped in krinkled brown paper with imprints of a Navy grog tub, emblazoned with the words: “The Queen, God Bless Her” and sealed with black wax, it looks really cool. This spiced rum is at first a veritable clove explosion and my first thought is that it would be good in Christmas cocktails and tiki drinks. At the palate the first thing that hit was a warm strong rum and clove flavor. But under the clove came other flavors out like that of burnt orange peel, cinnamon, honey and heavy molasses. To me this rum fits best in drinks that are good with a very spicy flavor and you can sip it, no problem, maybe together with some christmas treatments. 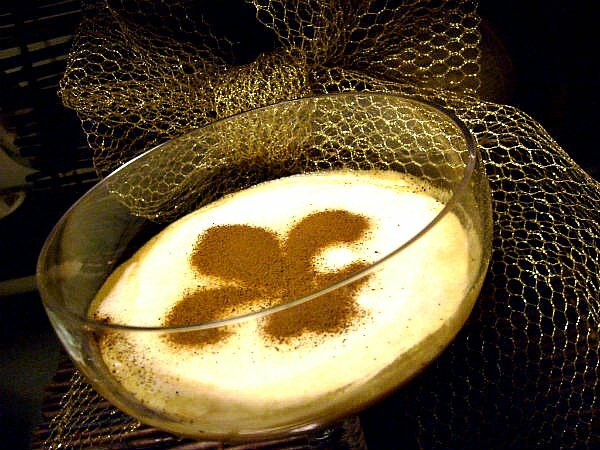 But it would also do well in some tiki drinks due to it´s spiciness. Don´s Caribbean Punch comes to mind.. But let´s start with a christmas drink, something warm. Just a little dash of sugarcane syrup too if you have a sweet tooth.. Warm and spicy…the Rumbullion is doing well here – it`s a sure winter warmer. 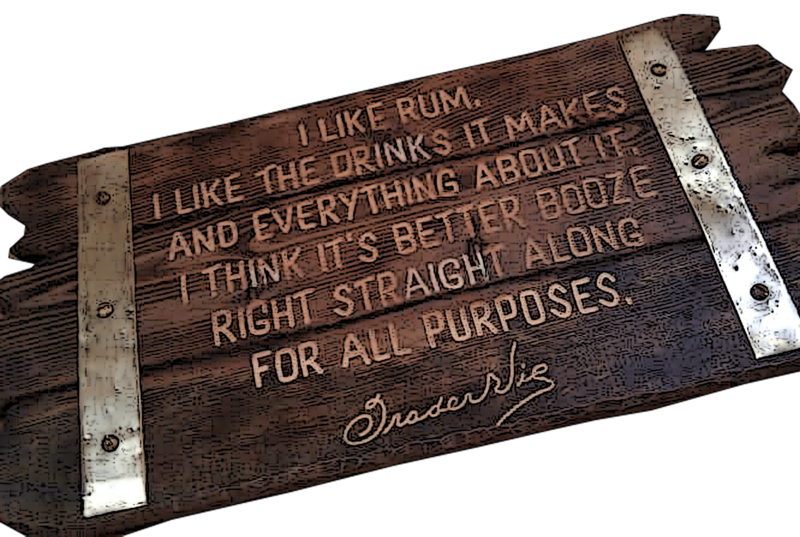 To me it´s not so much a sipper as a spiced drink rum. But let´s see how this rum performs in a tiki drink, so on to something colder, a spiced up version of Donn`s Caribbean Punch. Mix in blender with crushed ice 5 sek. Not bad at all…it blends well too with the other rum. So my conclusion is that Rumbullion is a rum best used in winter holiday drinks and in some tiki drinks. You can find Rumbullion at the Master of Malt. 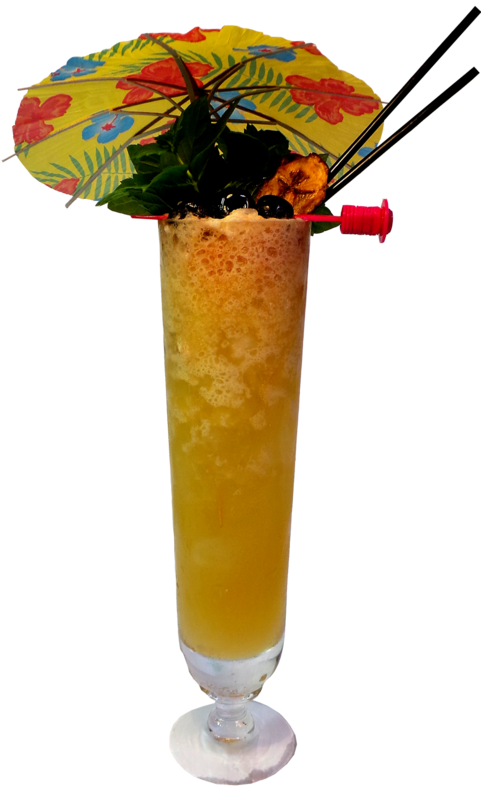 Here we have one of those genuine steady tropical tiki punches, made to relax with in a rattan chair while the sun sets and the cikadas start their nightly concert. Made by Donn Beach and most likely as is stated already in the Log, a drink made for his steak and coffee house “The Colonel´s Plantation Beef Steak and Coffee House” in Waikiki Hawaii cirka 1950s. Sounds to me that those were the days..can someone please invent a real time-machine? Thank God these recipes are still here (many due to some peoples hard work) so we can enjoy these drinks in our time. All the ingredients in this drink are classic tiki cocktail ingredients including the pernod, one of the secrets at the time. This is a very rewarding drink to sip on. i think the ginger beer adds a very nice freshness while the three rums adds depth and complexity. What you can do, if you wanna add some real funk to this drink is to make your own ginger beer, i bet it would make a fantastic flavor to this. I don´t have the time now to do that but i think i wanna try. That will have to be another blog post. Shake with one cup crushed ice- Pour into tall glass with 3-4 ice cubes. Garnish with pineapple chunk and sprig of mint. Well, i used a tiki mug instead..one that i find suitable for a plantation punch and which i found on the shelves in one of New Orleans liqueur stores. The taste of the drink is both fresh, rummy and relaxed, just the way this kinda drink should be. I have nothing to complain on here. 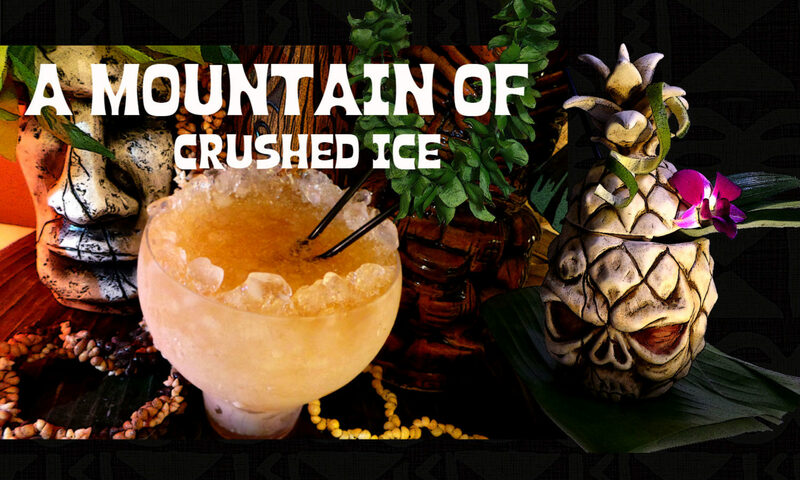 Shake with crushed ice and pour everything into a glass or tiki mug. 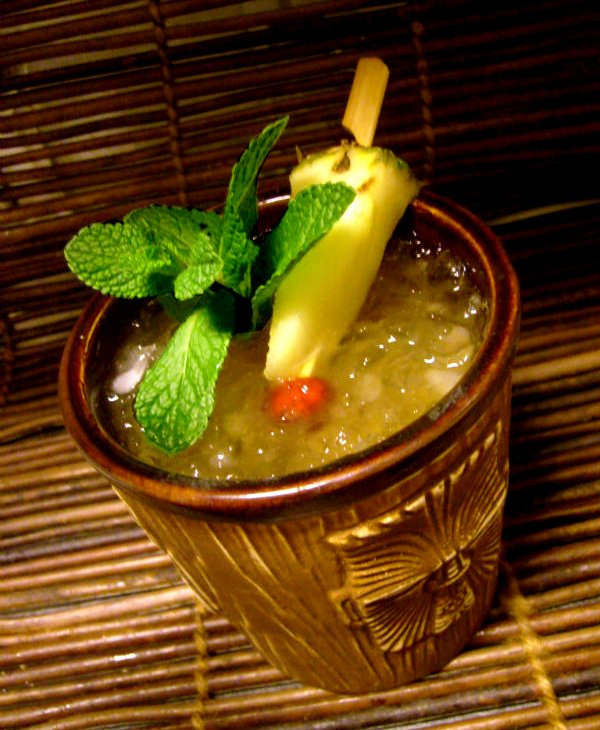 A typical tiki punch with extra flavors from the root beer. Nothing that sticks out but its relaxing and tasty. If you take the mint garnish and down it in the drink and stir a bit you`ll start to think about a julep sans bourbon. A peek in the glass..are you thirsty now?